Lower sugar production along with exports of around 2 million MT is likely to bring down the closing stocks to around 7.6 million MT in SY2016 from around 9.5 million MT in SY2015. ICRA estimates domestic sugar production at around 25.5 million metric tonnes (MT) during the sugar year 2016 (SY2016), a decline of 10% over the previous year. This was mainly driven by a drought in the largest sugar producing State, Maharashtra, which impacted sugarcane availability. Lower sugar production along with exports of around 2 million MT, is likely to bring down the closing stocks to around 7.6 million MT in SY2016 from around 9.5 million MT in SY2015. While international sugar prices have recovered marginally from their record lows of September 2015, they remain at modest levels. Although sugar mills will have to sell sugar at the modest global prices prevailing, ICRA expects export-linked subsidies for SY2016 and the resulting modest increase in domestic sugar realizations to offset the losses from export sales to a large extent. While the government has supported sugar mills by providing interest-free loans to clear cane dues and mandating compulsory exports to tackle the high sugar stocks in the domestic market, the primary aspect of linking sugar and by-product realizations with cane costs is yet to be fully addressed, although ICRA sees a movement towards this goal, as seen in UP. In September 2015, the Government of India (GOI) notified the minimum indicative export quota (MIEQ) for sugar mills to export 4 million MT of sugar during SY2016. In the absence of export subsidy, domestic sugar mills will incur losses because of the continued pressure on the international prices of sugar. In December 2015, the GoI notified a cane production subsidy of Rs. 45/MT, which would be paid directly to farmers as part of the cane costs. The mills that meet a minimum of 80% of the target notified under the MIEQ and under the ethanol blending programme (for those mills that have distillation capacities to produce ethanol) are eligible for this subsidy. While the recent increase in domestic sugar prices is likely to hamper the pace of exports, the cane production subsidy is expected to mitigate the same to an extent. Sugar prices, after touching a three-year low of Rs. 23,000/MT in July 2015, have been on a rising trend since August 2015 in anticipation of stock clearance backed by exports and lower production in Maharashtra. 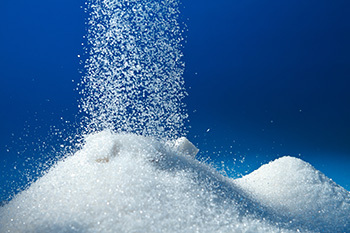 The announcement of cane production subsidy in December 2015, the expected increase in sugar exports and the likely global sugar deficit scenario have combined to cause sugar prices to firm up to Rs. 31,000/MT in February 2016 and Rs. 31,600/MT in March 2016. Going forward, the sustainability of the upward trend in sugar prices remains critically dependent on the sugar exports for SY2016 season as well as expectations on production figures for SY2017. As far as financial performance of mills is concerned, revenues of most sugar mills declined in 9M FY2016 on a yoy basis on account of lower sugar realizations vis-a-vis 9M FY2015, although the impact was arising mainly because of negative trends in Q1 and Q2 of FY2016. However, the operating margins of most UP-based mills, although still modest, were on the higher side during 9M FY2016 on a yoy basis because of the increase in sugar realizations, improvement in recovery rates during Q3 FY2016, and higher inventory valuation as on December 31, 2015. ICRA expects further improvement in margins during Q4 FY2016 for UP based mills. Most south-based sugar mills based in Tamil Nadu reported losses at the operating level during 9M FY2016 following an increase in the cane cost of production. While sugar prices have improved, the sugar mills’ liquidity is likely to remain under some pressure in the near term as they have to start making debt repayments against the soft loans availed during 2014 and 2015 from this year, which implies additional cash outgo for them.